We have decided to start making dog bows. I can’t say we are going to be any good at it just yet, it is the first time I have tried this. This is going to be my new hobby and I am hoping we don’t need to buy any bows online we can just make them. Practice makes perfect! Once I master making bows I look forward to selling, doing contests and doing give aways on Youtube, Tumblr, Twitter, Facebook and Instagram! Pixie and Roxy’s Bows will be growing to a wonderful future and we cannot wait to share. We took a trip to a place called Craft World in Hillington. 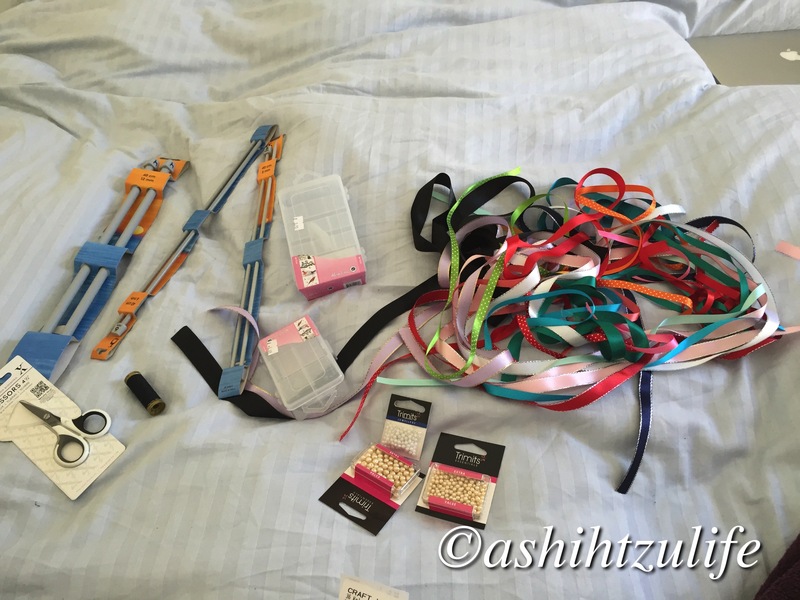 This is a great shop to get supplies for bow making. I have spent a lot of money on getting supplies for starting this so I am going to make a good shot at it. I am very excited to share the bows we make. Stay with us to find out what bows we are making and sharing.